So you can now go ahead and unlock exciting features at a lower pricing. 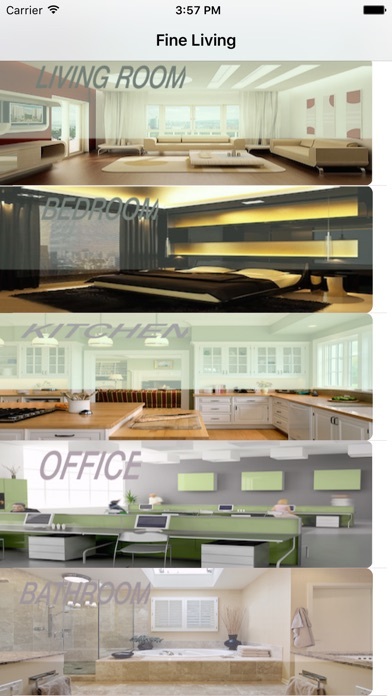 Thinking of ideas for the interior design of your new house, then this app is for you. You can choose what suits your taste from hundreds of high quality images. The designs include bedroom, kitchen, living room, bathroom, kids room and office designs. The images will make you dream of setting up your house or office as displayed. Pamper your home or office with these ideas and you will truly satisfy all your desires of a beautiful looking dream home or office. So go ahead and start living well because we know you have earned it. So do not think twice, go ahead and download this app and give your dream home all the attention it deserves. This app has been tested for iPhone 7, 7 Plus and earlier. - bug fixes & improvements.